Because we need to push harder. Because we want to go faster. Because it makes us feel alive. That is why we run! Some people will never understand why you enjoy pounding the pavement drenched in sweat with muscles burning and lungs aching. They've never felt that all-natural high a good run leaves you with, or experienced the adrenaline rush of crossing the finish line! 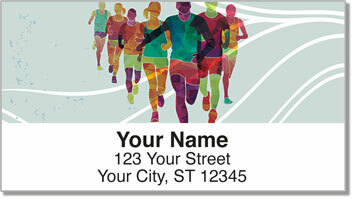 Joy of Running Address Labels from CheckAdvantage capture the art of running with athletic illustrations that pop with color. 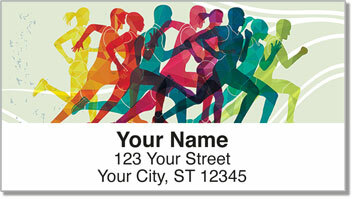 Use these convenient labels to cut down on the time it takes to prepare your mail. 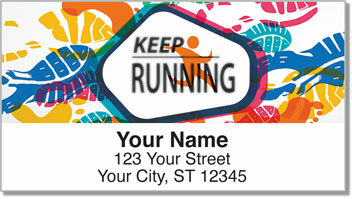 Order your very own Joy of Running Address Labels today! 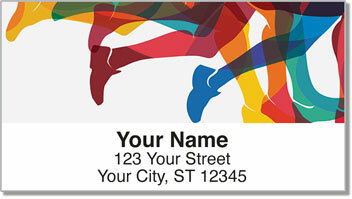 You can also get this unique selection as a set of matching personal checks.